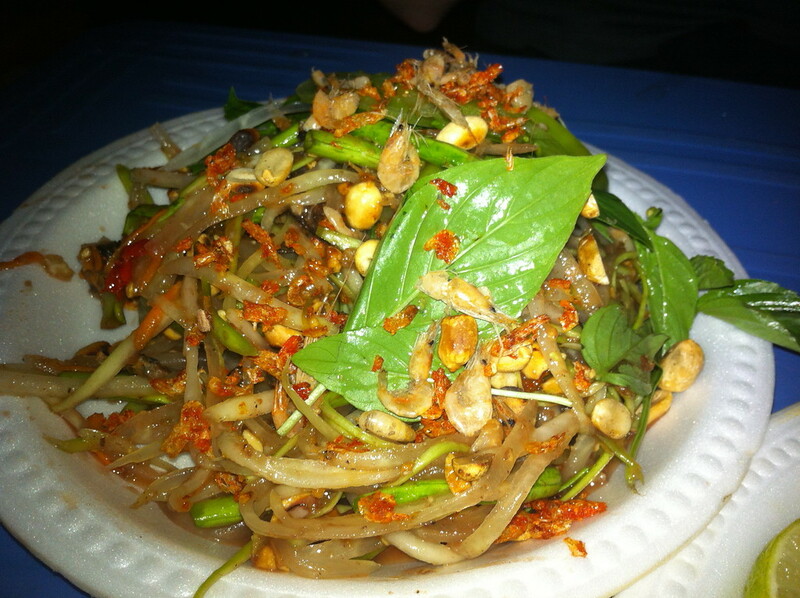 Things to do in Phnom Penh, Cambodia! Stepping off our bus from Ho Chi Minh City, we had arrived. Instantly surrounded and bombarded by a group of eager and excitable tuk tuk drivers, we battled through the group as they eagerly competed with each other to take us to our hostel. It was swelteringly hot, noisy and exciting. Welcome to Cambodia. As usual, we did our trick of walking a couple of blocks away from the pandemonium, knowing fine well there’d be some tuk tuk drivers hanging about on most corners who would give us a reasonable price. We found a quiet and unassuming driver who gave us a fair price, hopped into his tuk tuk and off we went to our hostel. 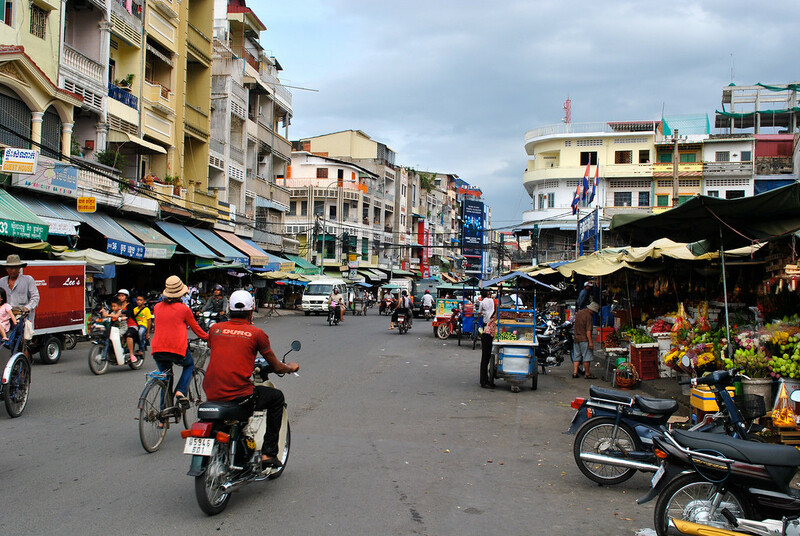 Speeding through the streets of Phnom Penh, we felt instantly comfortable and excited by our new country. The people seemed genuine and friendly (if overly keen) and the city was interesting and alluring to us. 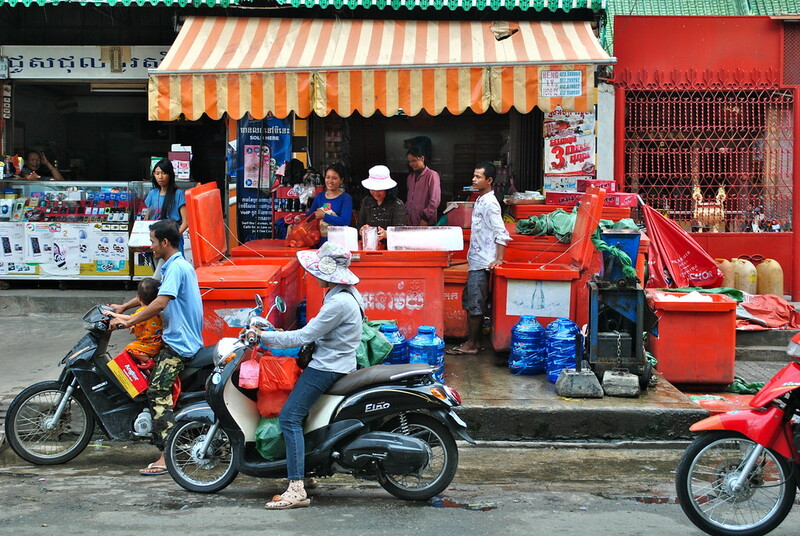 Countless street food vendors, markets and tuk tuks wizzed by, expats and locals blending seamlessly together. After dropping our bags off at the hostel, we were keen to get out and experience the best things to do in Phnom Penh as the sunset. We took a walk alongside our old friend the Mekong river, before grabbing our first Cambodian beers of the trip! Ice anyone? We’d heard of a great food market where the locals ate, and headed there to sample some of the new local delicacies for dinner. 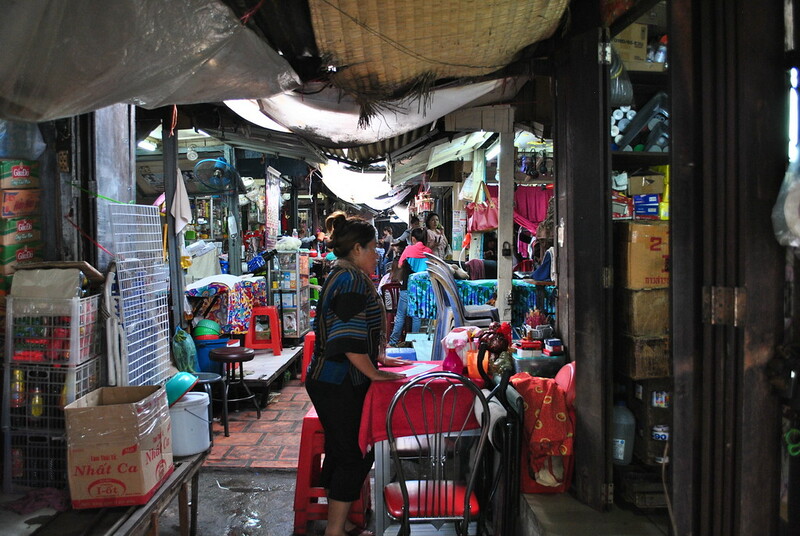 A large square of sitting rugs are surrounded by food stalls selling all sorts of delicious food; chicken, beef, pork and seafood skewers, noodle soup, rice porridge, spicy noodle salads, the options seemed endless. 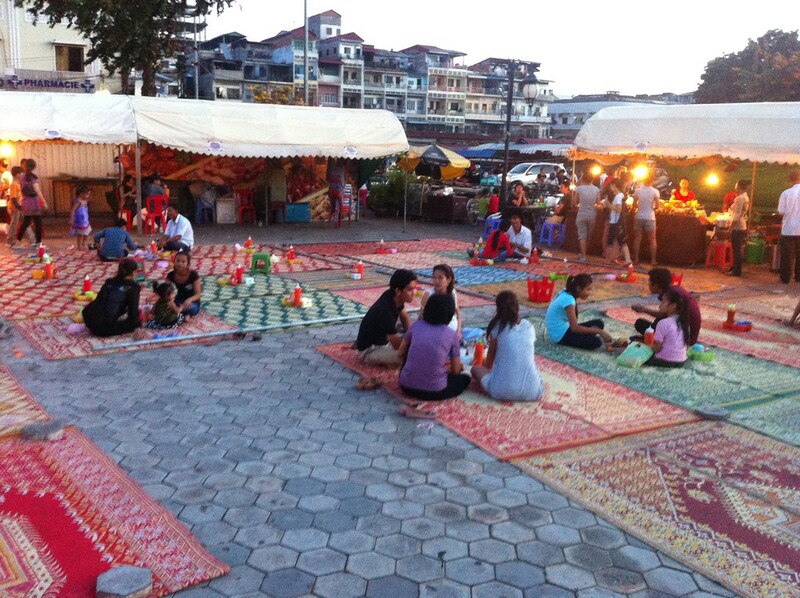 The market idea is pretty simple, grab some food and find a place on the mats to relax and eat. We were excited. 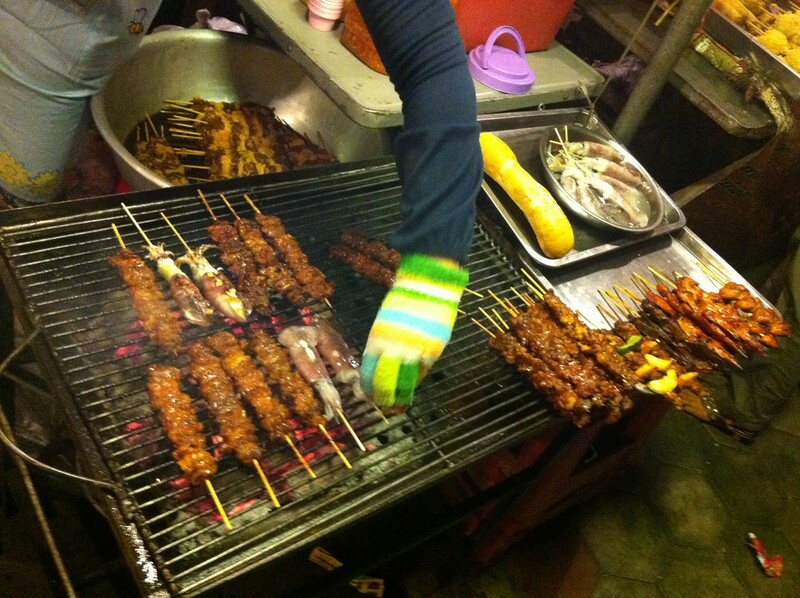 One of the main reasons we went travelling was to try new food, and tonight would be no exception. 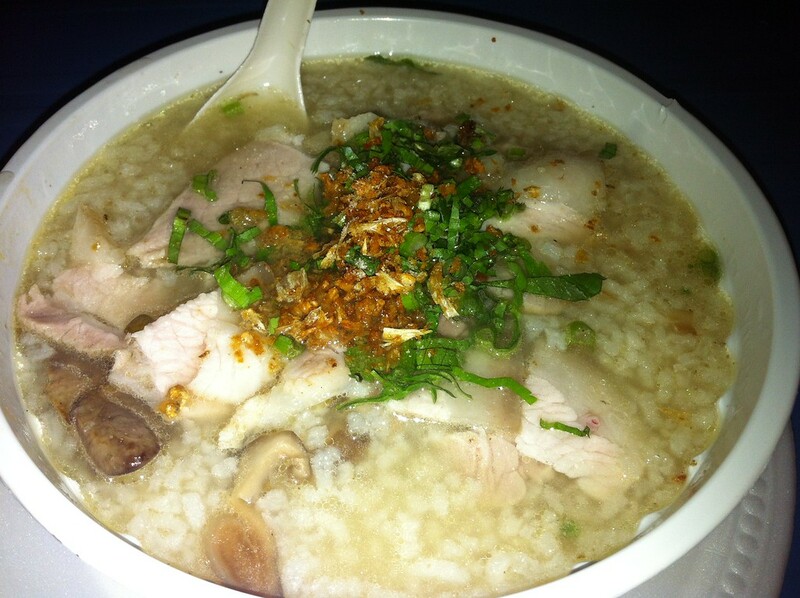 We opted for pork rice porridge soup, a spicy noodle salad and chicken skewers. To finish off our meal, we decided on sharing a fresh sugar cane drink. 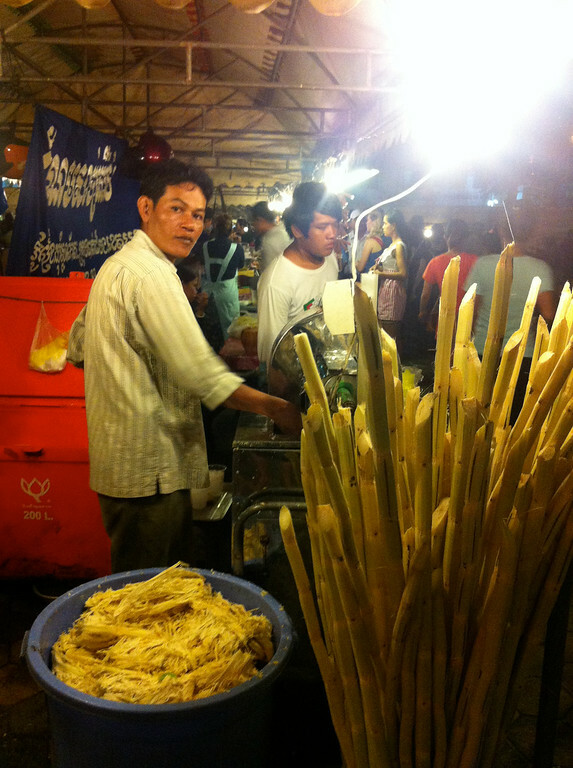 Watching the vendors make it was incredibly therapeutic – grab a couple of long canes, feed them through a automated mangle five or six times and watch the sugary liquid ooze out. Drain it off, pop it in a cup with ice and away you go. And so to bed, in preparation for what was to become an emotional few days as we learnt much more about a poor country still suffering the consequences of the horrific Khmer Rouge period as we visited the Tuol Sleng prison and the Killing Fields. Cambodia had welcomed us with open arms, and we were ready for the new adventure. Book Your Train/Bus/Ferry Tickets Online! We always recommend that you book your journey in advance, so you have peace of mind that your seats are booked! We recommend using 12go.asia as they offer train, bus and ferry ticket booking online in advance! Check out your journey options and prices here and get your seat reserved! Some of the links above are affiliate links, which means if you choose to book somewhere though our link, we receive a small commission. Don’t worry, it doesn’t cost you anything more, and most importantly, we only recommend companies that we use ourselves so you can trust our recommendations! Looking for more Cambodia Inspiration? Click here. 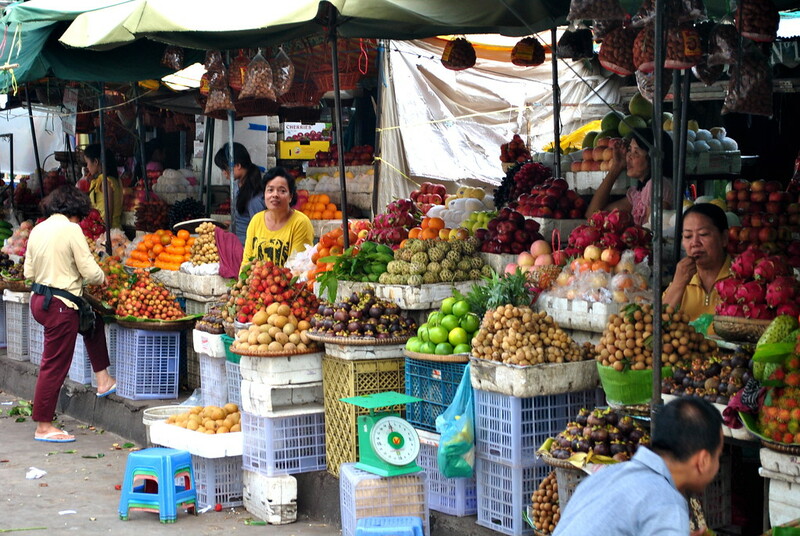 Backpacking Vietnam – The Ultimate Guide!